This chart shows that there has hardly been any actions up or down but there has been a slow negative slide all day. Now we can get to some speculation, news, and asking why. This is where we ask why the market price is performing as it is: where there’s wider adoption, higher transactional volume, and eventually more inherent value added to bitcoin. We might picture this as traders seeing this low price market as a buying platform and pushing a price rally up and up. 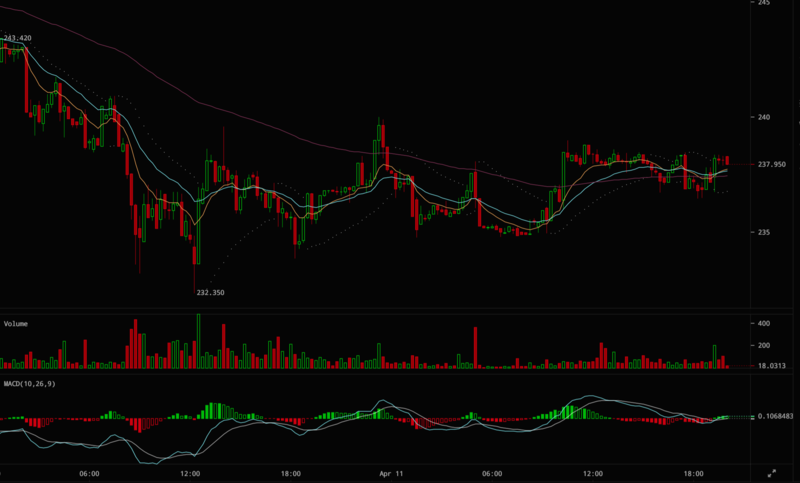 Unfortunately the technicals are not supporting this notion right now since the volume just is not there. Social mood is an excellent way to describe the market actions in response to various news announcements and is consistent with the Elliot wave principle school of thought: where markets are moved by the collective mood of all traders, movers, and shakers participating in the market at any one time; exactly what this author has described as social mood. We can see this phenomenon in today’s technical’s as a kind of delayed action where news announcements have already passed and sell orders are stacking up like firewood. 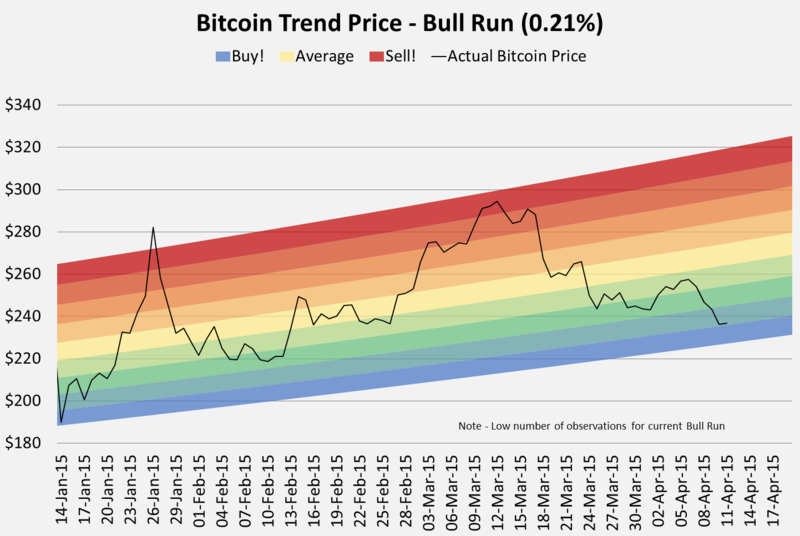 Indeed, the market would seem to be solidifying around a slight negative trend and the result is an overall price decrease. I mentioned in yesterday’s market watch that now may be a good time to watch for new lows to acquire coin for less and setup well for some short positions; I hold to this sentiment and I will definitely be picking up coin in the next few days. 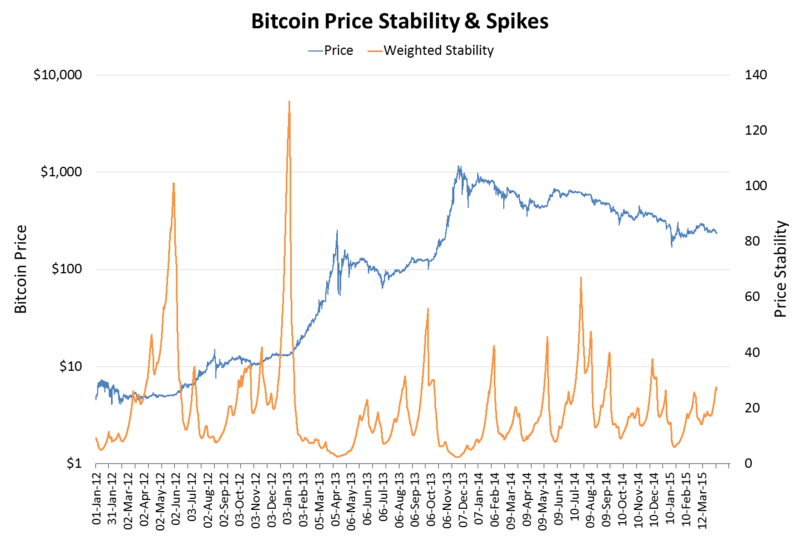 I really, really enjoyed this analysis and the way that they broke down bitcoin stability and price spikes. We have had a lot of stability recently and our friend here would argue that after a period of relatively high stability there may be a bubble that could help to explain the negative pressure we have observed so far. I would not say that we are on a bubble right now but everyone is looking for why and this is something. I will admit I have shifted from a bullish outlook to a more bearish stance and this is not a bad place to be in order to hold long term and wait until the positive trends return; the market is definitely in for the long haul. Market watch will be back for Monday with more recommendations but no trade recommendations for now, just watch any positions carefully and evaluate as necessary. If you solidify positions in USD for now I would not blame you at all but right now is ripe for picking up cheaper coin. Here’s the last chart for today and I have followed it so far for some of my positions.